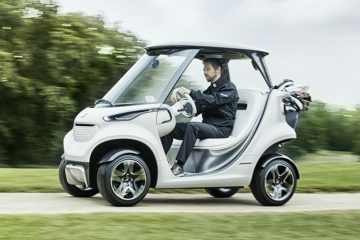 Some golfers have a problem with their long drives. Others have a problem with consistency in their swings. Then there are those who seem to find themselves twitching and trembling every time they need to putt. The Tyche T1 is a training tool that’s meant to help with that. Designed to help golfers work on their putting strokes, the system engages the user in various training exercises that helps them get rid of bad putting habits while learning to be more consistent with their putting motions. More importantly, the outfit claims it can help users permanently get rid of the yips – those unintentional muscle twitches in the wrist and hand that almost always seem to occur in the most inopportune time. As in, right when you’re about to make contact with the ball. 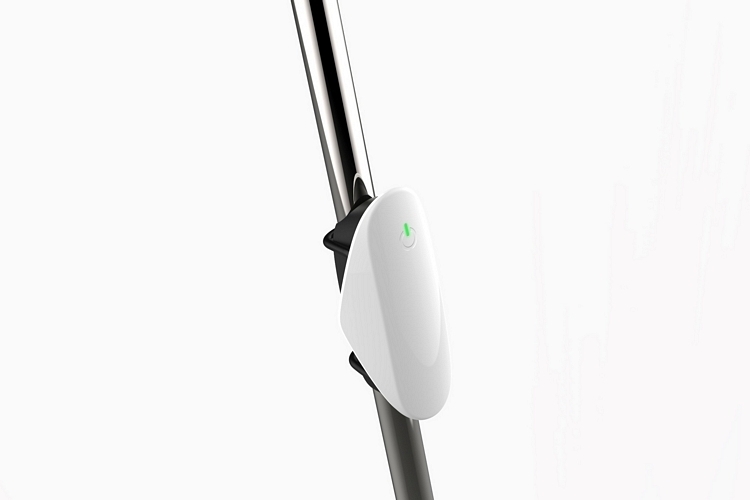 The Tyche T1 consists of three components: a base unit, a club sensor, and a companion app. 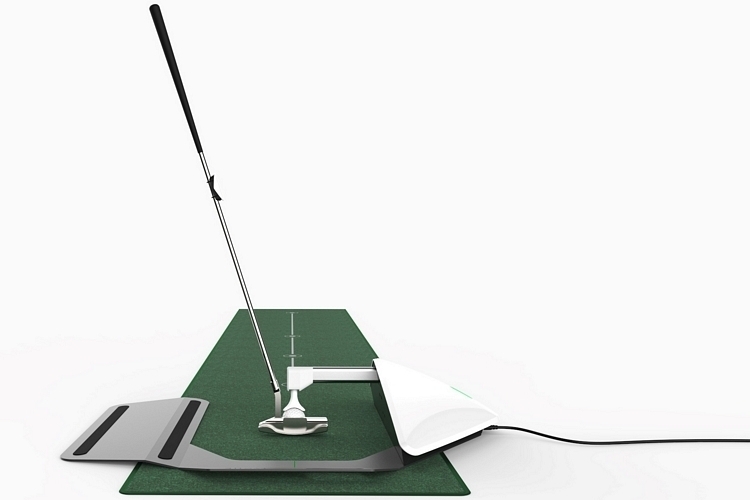 The base unit is, basically, a putting mat with electronic elements, while the sensor clips onto your putting iron in order to track your entire range of motion during each putt. 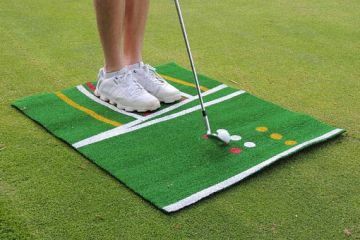 Unlike traditional putting mats, the one here comes with a mechanical arm controlled by an onboard processing unit, which can hold the ball in place, so the darn thing stays put even after impact. Why? According to the outfit, alternating holding and releasing the ball helps users gain a better feel of the club and the movement right before impact – a key element in being able to eliminate the yips in your game. 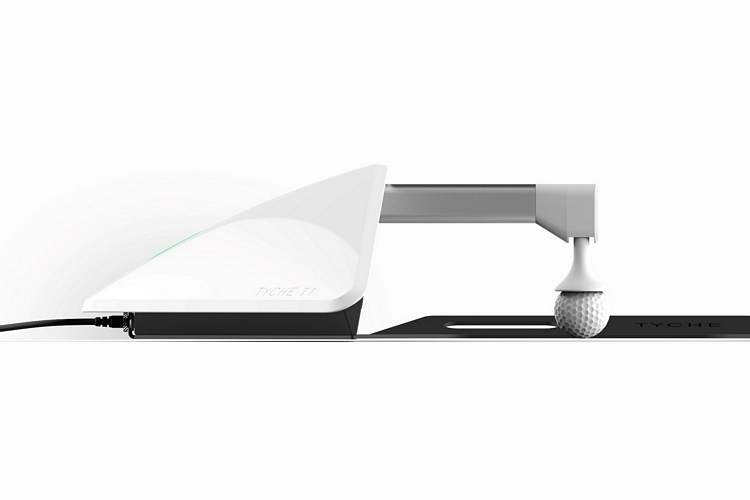 The sensor, on the other hand, uses a gyroscope and accelerometer to get a precise reading of your putting stroke, recording up to 900 datapoints per second to give it a large amount of data for analysis. It’s small and light enough that it shouldn’t have any effect on your putting shots, while built-in Bluetooth allows it to immediately transmit data wirelessly to the companion app. The Tyche T1’s companion app is billed as a “smart coach,” since it’s a dynamic system that adjusts your training exercises depending on how it evaluates your current putting abilities. Simply put, it can tailor your training to your current level of ability, whether the yips own you like a king asserting dominion or you’re simply looking to improve your consistency in the green. It will keep a complete log of your progress, by the way, allowing you to see whether you’re actually getting better over time. Yes, you’ll also definitely see if you’re getting worse, at which point, you’ll be perfectly justified throwing this away and finding something else to train with. As with many golf training tools, the system is perfectly suitable for practicing at home, so you can work on your putting game without ever leaving the bedroom. We have no idea how effective it’s going to be, but we’re definitely interested in seeing whether it can actually effect improvements in people’s games. Slated for availability in February 2018, the Tyche T1 is priced at $1,800. I am just a beer drinking casual golfer who doesn’t take the game serious. I wouldn’t invest in one of these, but I have many friends who would definitely consider this. 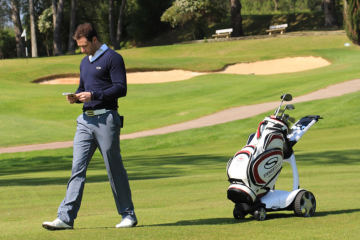 The Tyche T1 appears to be a great trainer for those who are serious golfers. There is a lot of putting greens for home and putting trainers, but the Tyche T1 works on helping you to swing consistently. I’d like to see some of the various training items it can help you with. I’m not a golfer, but I am impressed with the Tyche T1. 900 data points per second is going to give you a lot of solid data. Tracking your swings over a long period of time with 900 data points per second of each swing will give insight that was seemingly impossible just a couple of decades ago. 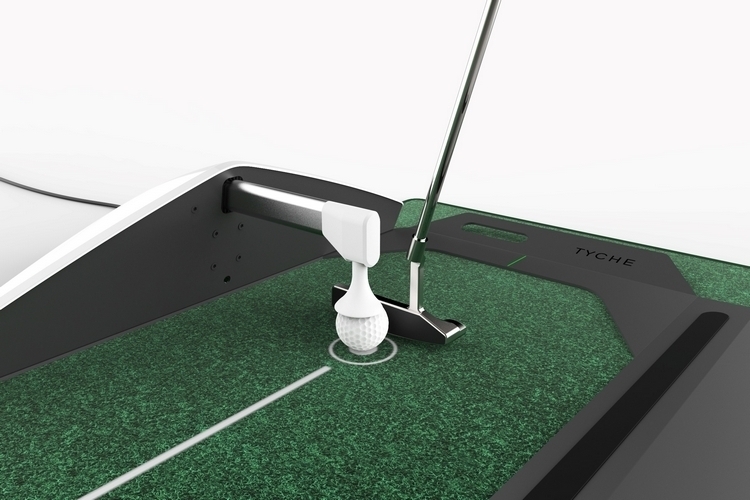 I think the Tyche T1 will be a great tool to help golfers improve on their short game, but only if they consistently apply themselves while using the Tyche T1 trainer. 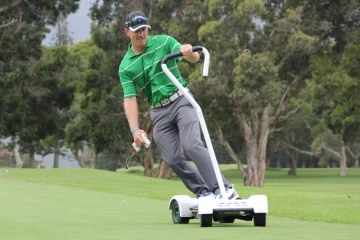 I’d like to see what an unsponsored pro golfer thinks about this golf trainer. 900 data points does seem pretty impressive, but I’m not sure how to compare this the hands-on experience, knowledge, and authority having an actual personal trainer would be? I mean, at best I’m just trying to calculate $1,500 worth of golfing lessons, and compare to contrast the most likely final results, and whether the cost would be justified – or the “at home” product functionality and convenience is really worth it. I will have to do more research first, and compare any similar products out there before making any decisions about investing in a product like this. I always laugh when I see the “rich, successful business man” playing put-put in his office with a coffee mug in movies lol. Training tools are always great if they’re actually effective. 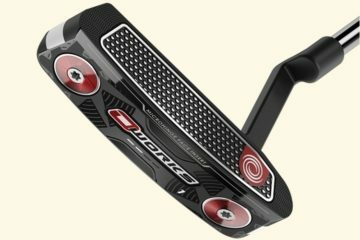 The contour and control of the product seem practical along with the club sensor, and obviously, the app is an impressive addition to the product, and the putting mat looks like its made of nice quality. I am familiar with gyroscope and accelerometer technology – as many people are if you’re playing around with your cell phone Advanced Settings before or a Dash Cam. I think it’s cool the device and app will provide future calculations and give you a better idea of the necessary alterations in your swing the next time you go for the ball. The fact that it will adjust the position and tension on its own as you get better – or worse – through each put is pretty neat, but a price tag of $1,500 seems pretty ridiculous – and blows my mind! Playing golf regularly is so expensive. 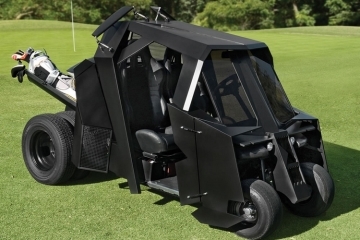 You got greens fees, cart rental fees, buying clubs, balls, and all the other odds-n-ends you need. No wonder that golf is the favorite sport of our wealthy President because only the rich seem to be able to afford to play it all the time. I don’t think the Tyche t1 would replace golf lessons for the serious golfer, but instead would just be an additional training aid to use while still working with a good trainer.